Is Albany Molecular Research, Inc. (AMRI) A Good Stock To Buy? Looking for high-potential stocks? Just follow the big players within the hedge fund industry. Why should you do so? Let’s take a brief look at what statistics have to say about hedge funds’ stock picking abilities to illustrate. The Standard and Poor’s 500 Index returned approximately 7.6% in the 12 months ending November 21, with more than 51% of the stocks in the index failing to beat the benchmark. Therefore, the odds that one will pin down a winner by randomly picking a stock are less than the odds in a fair coin-tossing game. Conversely, best performing hedge funds’ 30 preferred mid-cap stocks generated a return of 18% during the same 12-month period. Coincidence? It might happen to be so, but it is unlikely. Our research covering a 17-year period indicates that hedge funds’ stock picks generate superior risk-adjusted returns. 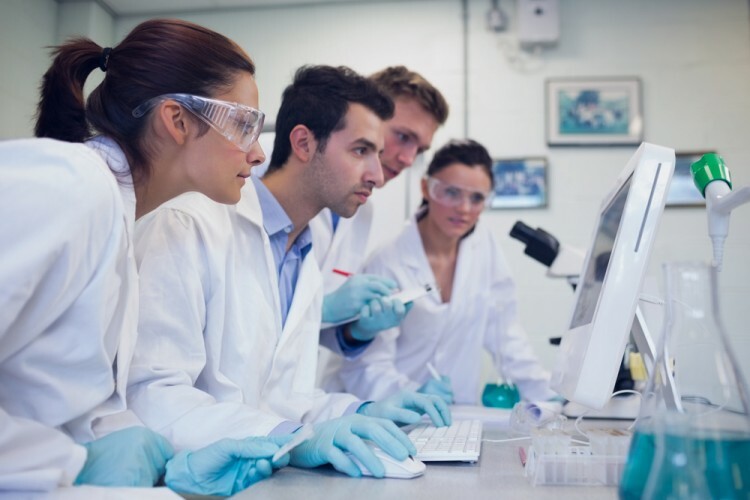 That’s why we believe it is wise to check hedge fund activity before you invest your time or your savings on a stock like Albany Molecular Research, Inc. (NASDAQ:AMRI). Albany Molecular Research, Inc. (NASDAQ:AMRI) was in 13 hedge funds’ portfolios at the end of the third quarter of 2016. AMRI shareholders have witnessed an increase in hedge fund interest lately. There were 12 hedge funds in our database with AMRI holdings at the end of the second quarter. The level and the change in hedge fund popularity aren’t the only variables you need to analyze to decipher hedge funds’ perspectives. A stock may witness a boost in popularity but it may still be less popular than similarly priced stocks. That’s why at the end of this article we will examine companies such as Greenhill & Co., Inc. (NYSE:GHL), Rudolph Technologies Inc (NYSE:RTEC), and National Storage Affiliates Trust (NYSE:NSA) to gather more data points. How are hedge funds trading Albany Molecular Research, Inc. (NASDAQ:AMRI)? At the end of the third quarter, a total of 13 of the hedge funds tracked by Insider Monkey were long this stock, an 8% increase from the previous quarter. 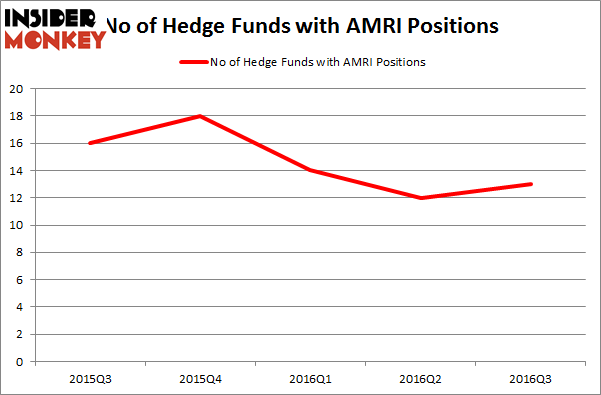 The graph below displays the number of hedge funds with bullish position in AMRI over the last 5 quarters, which shows a decline in positions during that time, despite the Q3 boost. With hedgies’ capital changing hands, there exists a select group of noteworthy hedge fund managers who were upping their holdings substantially (or already accumulated large positions). Of the funds tracked by Insider Monkey, Permian Investment Partners, led by Alex Duran and Scott Hendrickson, holds the biggest position in Albany Molecular Research, Inc. (NASDAQ:AMRI). Permian Investment Partners has a $50.5 million position in the stock, comprising 9.7% of its 13F portfolio. Sitting at the No. 2 spot is Royce & Associates, led by Chuck Royce, which holds a $20.7 million position. Remaining peers that are bullish encompass Charles Clough’s Clough Capital Partners, Jim Simons’ Renaissance Technologies, and Ken Fisher’s Fisher Asset Management. We should note that none of these hedge funds are among our list of the 100 best performing hedge funds which is based on the performance of their 13F long positions in non-microcap stocks. Is Cohu, Inc. (COHU) A Good Stock To Buy Right Now? Hedge Funds Are Selling Concordia International Corp (CXRX) Is 2U Inc (TWOU) A Good Stock To Buy? Is Cryolife Inc (CRY) A Good Stock To Buy? Is Tobira Therapeutics Inc (TBRA) A Good Stock To Buy? Is Bottomline Technologies (EPAY) A Good Stock To Buy?